FHA Adjustable Rate Mortgages, also known as FHA ARM loans, are a bit more complex than their fixed-rate mortgage counterparts. There are some frequently asked questions about FHA ARM loans borrowers should know the answers to when they begin planning for their new home loan. August 26, 2018 - FHA Adjustable Rate Mortgages, also known as FHA ARM loans, are a bit more complex than their fixed-rate mortgage counterparts. There are some frequently asked questions about FHA ARM loans borrowers should know the answers to when they begin planning for their new home loan. Can I Pay for Interest Rate Buydowns With an FHA ARM Loan? HUD 4000.1 states that adjustable rate mortgages backed by the FHA are not eligible for temporary interest rate buydowns. How is the Monthly Mortgage Rate Payment Calculated? How Long Can My FHA Adjustable Rate Mortgage Be? HUD 4000.1 states that the ARM loan must “be fully amortizing” over no more than 30 years. 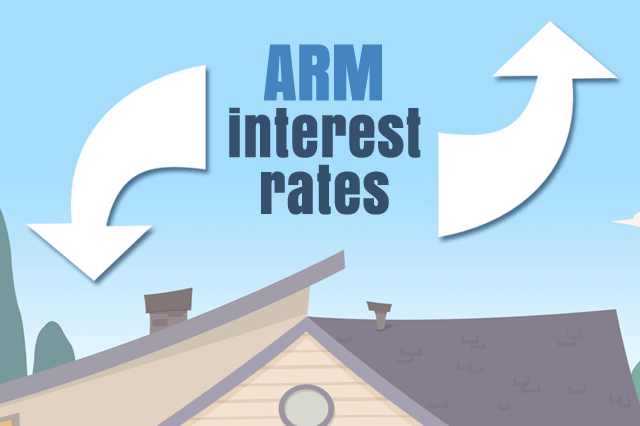 When Do the FHA ARM Loan Rates Get Adjusted? Depending on the length of the introductory rate, the adjustment may occur sooner shorter introductory interest rate periods, but there is a mandatory “no-later-than” adjustment requirement. For example, a one-year introductory rate will require the first rate adjustment no sooner than 12 months, but no later than 18 months. For three-year introductory rate, the first adjustment is due in 36 months, but no later 42 months. Ask your loan officer when the first adjustment on your FHA ARM loan will occur based on the length of the introductory rate and the financial institution’s standards for rate adjustments.